Is there anything better than a nice, American holiday? Take Memorial Day or 4th of July for example. The sun, the family, the games, the barbeque….ahhh the barbeque. We must remember, though, that these holidays are being celebrated in honor and in remembrance, so it’s important to treasure that aspect too. To do so, flaunt your red, white, and blue in craft form. 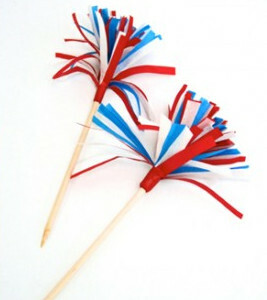 Whether you use these crafts to decorate the yard for your big 4th of July party, send them to soldiers overseas, or deck yourself out in them for fireworks, you will be celebrating our country the right way. Don’t suffice for just one star-spangled banner. Nay. Wave high many homemade flags and mark them “Made in America.” Where are you going to get these brilliant, crafty ideas? From 21 American Craft Projects, of course. Pledge allegiance to crafting this 4th of July because when you do so, you’re sure to have a wonderful holiday filled with pride. As you craft the symbol of our freedom, remember those who risked their lives to fight for it. 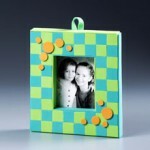 Craft your heart out in honor of them, and you’re sure to end up with the best craft project you’ve ever made. Luckily, there are numerous holidays for which the projects from 21 American Craft Projects are appropriate, so you’ll get to show off your art often. From the youngest Americans to those who have seen it all, there are age-appropriate crafts in 21 American Craft Projects. That means that the whole family can enjoy crafting together. Happily. Yup. It’s possible for every member of the family to be happy doing the same activity. Sometimes it seems like everyone is busy during the 4th of July either talking, swimming, eating, or playing, but when you’re not old enough to do that (or you just don’t want to) you can get bored. 21 American Craft Projects forbids boredom on the celebration of independence, so you better crack it open and take a look. There are crafts that you can do on your own when Mom is busy chatting with her friends and Dad is figuring out the grill. Just because they’re easy doesn’t mean they’re for babies though. 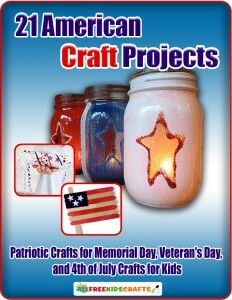 Some of the coolest crafts in this free eBook can be made by you, like the Firework Craft for Kids. It’s like a real firework, with a popping sound and everything! Holidays can be unintentionally expensive, especially when you’re the one throwing the party. To keep costs down, craft with paper. There are some blue-ribbon crafts in 21 American Craft Projects that can be crafted for free…really! 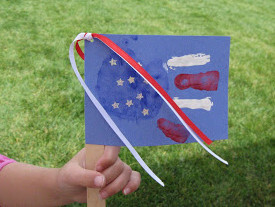 The Patriotic Party Banner provides a free printable for kids, so it takes exactly zero dollars out of your piggy bank. That’s a pretty reasonable price if you ask me. Deck out your party with red, white, and blue paper and you’ll watch spirits rise while costs stay low. Which is your favorite American holiday? 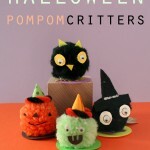 AllFreeKidsCrafts.com is pleased to welcome parents and kids of every age to our collection of the most exciting kids' craft ideas from all over the web. For young minds, arts and crafts develop creativity, so AllFreeKidsCrafts is here to inspire their imaginations with activities and crafts for kids of every age. From nature crafts to make in your own back yard, to edible kids crafts in the kitchen, to crafts for kids who dream of adventure, we feature all sorts of kids crafts from the web's most innovative parents and craft designers. 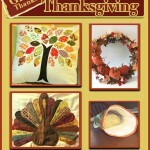 Thanksgiving! I have my family together….